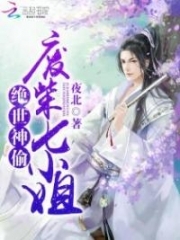 You’re reading novel The Demonic King Chases His Wife: The Rebellious Good-for-Nothing Miss Chapter 1228 online at LightNovelFree.com. Please use the follow button to get notification about the latest chapter next time when you visit LightNovelFree.com. Use F11 button to read novel in full-screen(PC only). Drop by anytime you want to read free – fast – latest novel. It’s great if you could leave a comment, share your opinion about the new chapters, new novel with others on the internet. We’ll do our best to bring you the finest, latest novel everyday. Enjoy! "As far as I'm concerned, this Divine Spirit Fruit is really useful to me, but for Nangong, it is a miracle elixir." Su Luo, smiling happily, placed the Divine Spirit Fruit in Nangong Liuyun's hand, "This layer after layer scheme was all Nangong's idea, I'm not that two-faced." With this Divine Spirit Fruit, Nangong Liuyun's internal injury could heal even faster. Nangong Liuyun laughingly pinched her charming nose: "That's right ah, you aren't as two-faced, you would toss the entire Central Palace into disarray." "Humph, speaking of this, my belly is full of anger." Su Luo pulled Nangong Liuyun to sit on a stool, "Since they have delivered the Divine Spirit Fruit, it shows that they've researched my blood, moreover, they have already obtained the initial result. Next, they only have to wait for me to eat the Divine Spirit Fruit, then they'll make their move." Beichen Ying's complexion tightened: "The entire Central Palace has as many experts as clouds. Wanting to leave, it won't be a simple matter." According to Beichen Ying's thinking, they shouldn't have feigned civility and accompanied Mo Yunfeng to return. At that time, on the way, they should have staked their lives to escape. Nangong Liuyun's eyes were deep and unfathomable, and he smiled slightly: "What about experts as many as clouds? How could they be compared to Luo Luo's teleportation." Beichen Ying and Zi Yan, for a moment, were somewhat unable to understand, what relations.h.i.+p did this have with Su Luo's teleport skill? Nangong Liuyun also didn't explain much more, he tenderly helped Su Luo comb her hair and softly asked: "You must be careful at the time of operation. You don't have to succeed, but you must not place yourself in danger, understand?" Su Luo wrapped around Nangong Liuyun's arm, smiling very cutely: "You should be at ease, right now, I'm no longer that sickly Su Luo from before, no matter where I go, I wouldn't need your protective cover." Su Luo now was an eighth-ranked expert, what's more, she still had two spirit pets at her side, and a plant type pet. In addition, she also had Little Stone and the jade piece that could save her life at the critical moment. Frankly speaking, even encountering an expert at the tenth rank, Su Luo could make it more than enough for him to drink down. Nangong Liuyun softly stroked her supple, satin-like hair. In his mind, his girl was always weak, standing behind him, needing his protection. As long as he thought of the fact that she had to operate alone, he already couldn't help but be anxious. "You should rest a.s.sured, I guarantee that I will complete the mission above expectations." Su Luo excitedly high-fived Nangong Liuyun. "Hold on." Beichen Ying had puzzlement across his whole face, "What are you guys saying, why is it that I can't understand it?" When did these two reach such an agreement ah? Why was it so quietly ah? Su Luo smiled happily as she cast him a glance: "Didn't set up a role for you. You should act as a spectator, wait for the curtains of the play to drop, and then naturally, you'll know. Now, you need not be curious ok."
Tonight was Su Luo's night. At that time, the reason why they had agreed to follow Mo Yunfeng to come to Central Palace, Su Luo had her own intentions. Afterwards, when she had talked with Nangong Liuyun, that sinister and cunning Nangong Liuyun's mind came up with schemes one after another, after hearing it, Su Luo simply gasped in amazement. Thus, the two made up their mind to go with Mo Yunfeng to Central Palace and then go all-out in the battle. At this moment, Su Luo and Nangong Liuyun exchanged a glance, their eyes s.h.i.+ning like stars, glinting with light that only the two of them understood. The night was pitch-black like ink. One couldn't see one's fingers in front of them. This kind of night was the perfect day to kill and set things on fire. The darkness before dawn, Su Luo, who was lying in the crook of Nangong Liuyun's arm, suddenly opened her eyes. Her eyes shone like stars, flickering with malicious, crafty rays of light. Then, the corner of Su Luo's mouth slowly lifted into a sinister, cold sneer. Central Palace, your great aunt, I, am coming! The so-called striking first and gaining the upper hand, the one that moves afterwards suffers a calamity. Since Central Palace wanted to seize Su Luo for personal gain, then Su Luo also wouldn't be so polite to them. You're reading novel The Demonic King Chases His Wife: The Rebellious Good-for-Nothing Miss Chapter 1228 online at LightNovelFree.com. You can use the follow function to bookmark your favorite novel ( Only for registered users ). If you find any errors ( broken links, can't load photos, etc.. ), Please let us know so we can fix it as soon as possible. And when you start a conversation or debate about a certain topic with other people, please do not offend them just because you don't like their opinions. You're reading The Demonic King Chases His Wife: The Rebellious Good-for-Nothing Miss Chapter 1228. This novel has been translated by Updating. 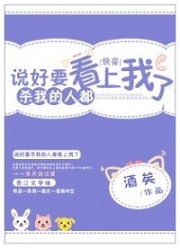 Author: Su Xiao Nuan,苏小暖 already has 9555 views. Current Time is Apr-19-2019 14:31:11 PM.